A new consumer infographic from the National Dairy Council (NDC) underscores the importance of high-quality protein to help maintain muscle mass with age. 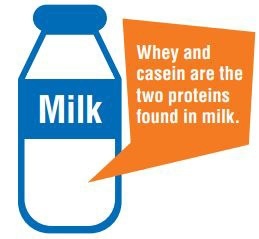 This resource also provides tips for easily incorporating U.S. whey protein into everyday foods and beverages. The National Dairy Council has created a new consumer-friendly infographic on the benefits of three dairy proteins (WPC, WPI and MCC) alongside tips on easily adding them to popular food and beverages. Access, learn more and share this powerful new consumer education tool.